I love personal development books. They remind me of the importance of thinking about how I live and of examining whether or not what I do meets my goals of loving God and those around me. I almost always finish such a book inspired and with one or two small practical changes to implement in my life. And, of course, there are always ways to apply such small changes to our homeschool as well. The thesis of The Slight Edge by Jeff Olson is that it’s the small things in life, the ones that are easy to do and easy not to do, that make a huge difference in the long run. In an easy-to-read style Olson discusses this concept from many angles and then makes it intensely practical for the reader. He also shares his own story from beach bum to successful businessman. The one small habit Olson recommends as a basis for everything else is to read 10 pages of an inspiring book every day, and The Slight Edge ends with a long list of his favorites. Unfortunately the Bible is not on this list although it is, of course, the first and best book for anyone to read. Again, these are meant to be simple activities. If we turn them into a complicated burden, that often prevents us from actually doing them. However, if we manage to actually do them, we will be giving our children a slight edge that can, in the long run, transform their lives. But Olson’s ideas are not only for homeschools and child-raising. They can make a huge difference in our personal lives as well. And, yes, of course, I know we all know this; it’s just that sometimes we need to be reminded. Read the Bible and other good books. Express gratitude to God and people. Walk 10,000 steps a day and exercise several times a week. Apply the 80/20 rule whenever possible. These are all easy to do, and easy not to do, and they have all made an incredible difference in my life…when I do them. I now list these goals at the bottom of each day of my homemade planner, just to remind myself. The important thing is that they only make a difference when I do them. And that, I think, is the point of this book. you would enjoy this book. You can even let your older children read it. But, whether you read it or not, remember its main point: there is great benefit in regularly doing those little positive things that are so easy to forget. This is true for our homeschools and families as well as ourselves as we seek to glorify God in all we do. This is yet another book in the in the 2014 52 Books in 52 Weeks Challenge and is also linked to Saturday Reviews, Works for Me Wednesdays, Booknificent Thursdays, Raising Homemakers, Finishing Strong, Mom to Mom Monday, R&R Wednesdays, Mom to Mom Monday, Missional Weekend, and Trivium Tuesdays. Disclosure: I borrowed this book from the library and have given my honest opinion. 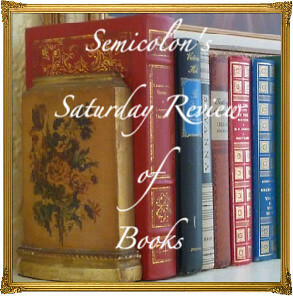 Posted in: 52 Books in 52 Weeks, Homeschool Tips, Life, Reviews, Reviews: Nonfiction. That is so true! The little things add up and really make a difference. I was just thinking this morning that I would like to read more books, but do not use my time as wisely as I once did. Something to work on!!! Yes, and it does not take all that much time either, does it? This book reminded me of the importance of reading inspiring books as opposed to fluff, something that I occasionally forget. 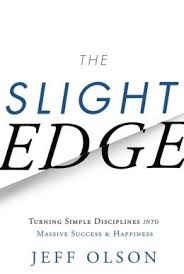 Since I read The Slight Edge this summer (yes, it took me that long to get around to reviewing it!) I have read a large number of inspiring and educational books. It has been wonderful in many ways! This is a good reminder. Thank you. You are welcome, Nelleke. 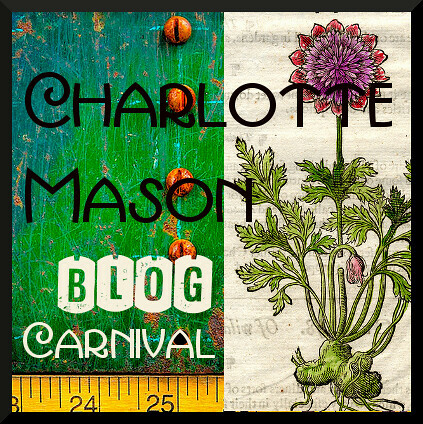 As Charlotte Mason mom you already emphasize habits, but it’s always good to be reminded, I find. Thanks for the review. I totally have to read this. I have known for years that steady spiritual and life disciplines make my life go and this looks like great encouragment! I love the habits that you shared! Bible reading is something that I want to start my kids on in January. We read together as a family and memorize lots of scripture, but so far we haven’t asked them to read on their own. My daughter is still a bit young, but I think it is just the right time for my 6 yr old son. Thanks for the encouragement today! I really like how you applied this book to homeschooling and also showed how you’ve seen similar themes play out in your own life. Great review! Thanks for sharing this at Booknificent Thursday! Hope your Advent/countdown to Christmas is going well! Yes, Helen, it is a great encouragement and is very easy to read besides. Bible reading at age 6 would be great for your son, Amy! If he gets bogged down in some of the more abstract sections, check out the list of Bible stories I linked to in my post on Bible narratives. Thank you for your encouragement, Tina. Because of our unexpected little vacation, I’m behind in my planning for Christmas but that is totally fine.